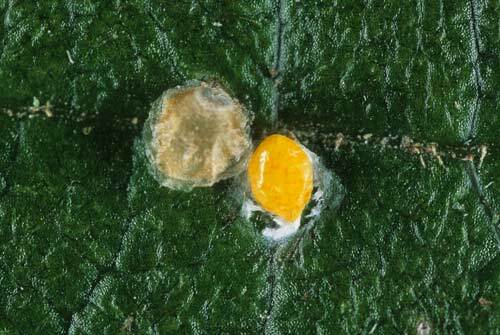 Greedy scale is a common pest of kiwifruit and its presence can stop exports. The soft-bodied female (the yellow lumps) attaches herself to the vine by her mouthparts then spins a hard, grey-brown covering over her body. Juveniles are mobile and crawl over the vine and fruit, although some may attach themselves to the plant near their mother.